Where we write, and sit to do it, influences our work. It may be slight or it may infuse the piece with its atmosphere. 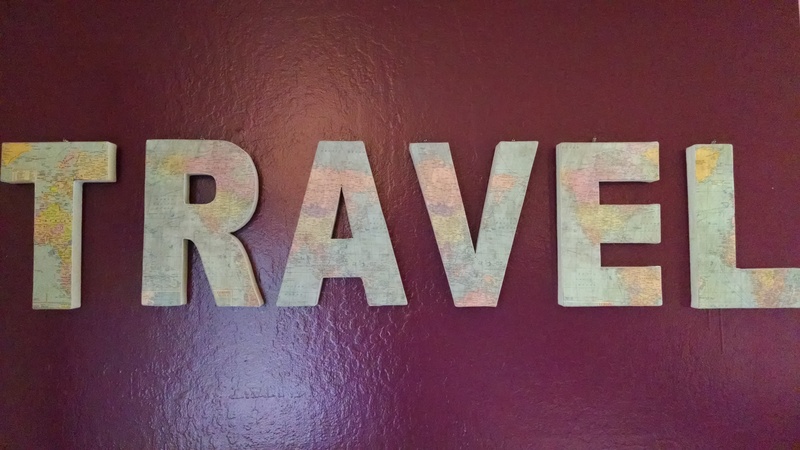 I am a writing space nomad, uncomfortable committing to a specific place – even within my own home. I need the air of other rooms and places to keep my body happy while my mind rummages in the Renaissance or through the beer soaked green of a 1970’s rock concert. My need for other views is shared through my tribal connections, my writing group. To serve our mutual need and create an intense space/time plan for those difficult projects, we booked a room at a hostel. Budget is as much of a priority as atmosphere which is not hard to find in Northern California, particularly when several of the Hostelling International sites are lighthouses. 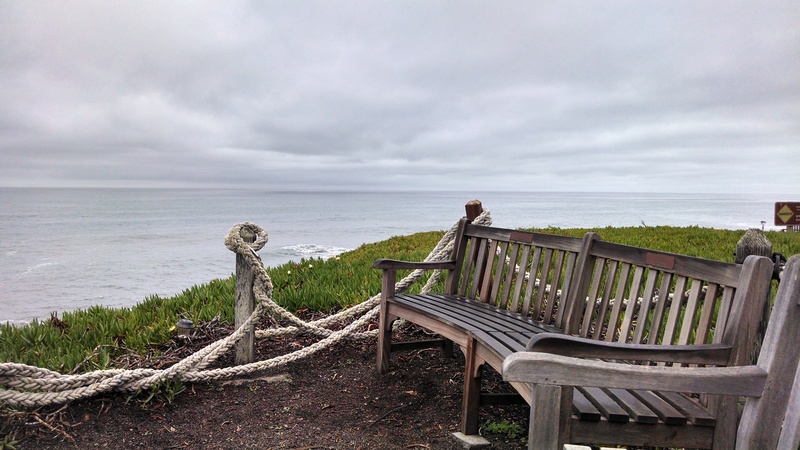 Our first venture was to the Montara Lighthouse which features private shared rooms, a meeting space that can be reserved, a beach, linens, and many, many places to sit. There are downsides to choosing a hostel setting. First, privacy to write may be limited. The public spaces are public. If you write on anything with minimal battery life, then you may be relegated to the most public of the public spaces: the lounge areas. 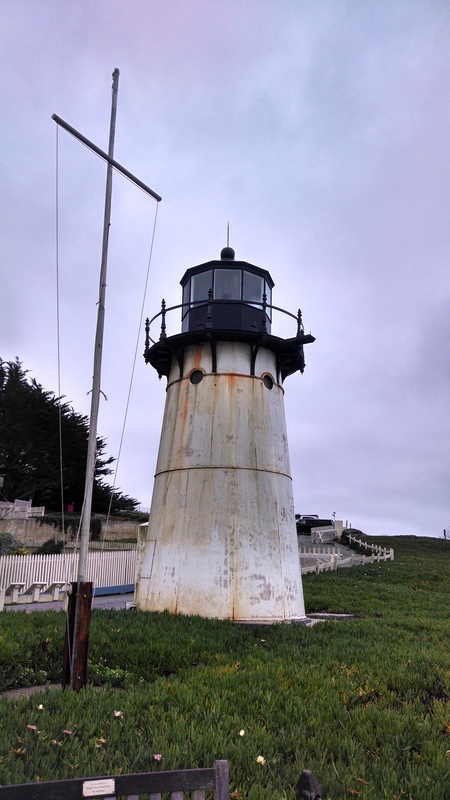 The good news is that the Montara Lighthouse has several surge protector strips set-up for just this purpose. If you’re an early riser, you can almost have the place to yourself. Despite it being a holiday weekend at a full hostel, I didn’t see a soul until 8 am. But by 9:30, even the twenty-year-old guys were up and scratching their stomachs. There are many views to take in. Of course, the international and multi-generational atmosphere is part of the charm. It’s a great place to find inspiration for characters and scenes! I found a cherubic two-year-old from a country I’d never heard of “reading” in the lounge – if you write for children and don’t get to view them in their natural habitat, this may be your place. From 7 am to 10:30 pm, tea and espresso drinks are available along with light snacks for modest additional fees. They also have nightlights that Velcro onto the bed frame, important for those late night readers. Of greater import, under “note to self,” remember to sleep on your stomach to keep the snoring down! The kitchen is always available, self-serve, self-clean, and fully stocked with utensils as well as things folks left behind, i.e. there may be sugar for your coffee. The view from the dining table is California Coast Dreamy. Now, the serious downside – you must vacate your room between 11 am and 3 pm. Very hard to get any writing accomplished without a place to write. If the weather is good, there are plenty of gorgeous spots outside to sit but be prepared to be disturbed by passers-by, fellow travelers, children, dogs, cats, bold raccoons, cold gusts of wind, sweeping low fog, etcetera. Now that I know this, I’ll only take writing groups IF I can reserve a building throughout the day, and this is an option. 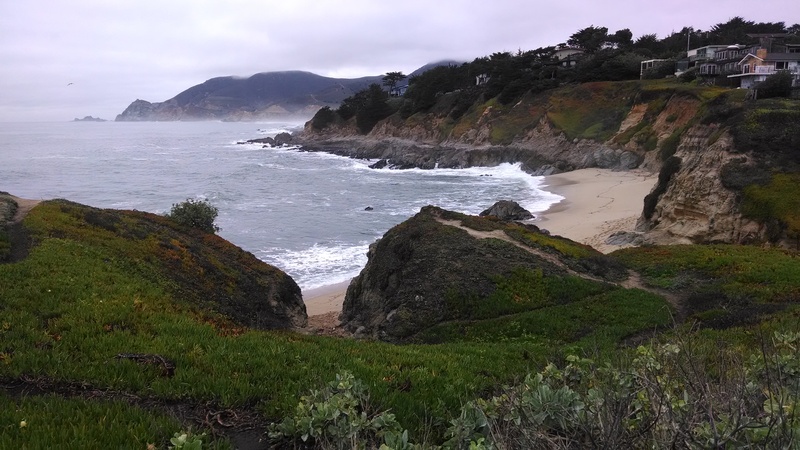 The Montara Lighthouse is located in a semi-suburban coastal spot with plenty of restaurants and grocery stores, making meals delightful. 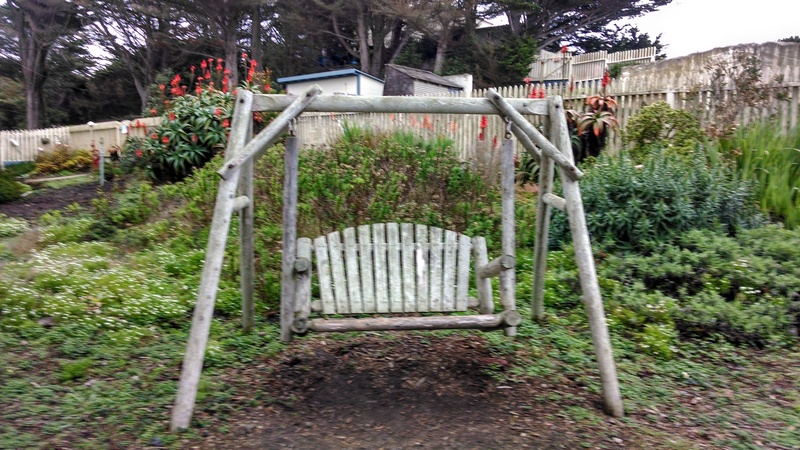 My recommendations are The Moss Beach Distillery for atmosphere and views, San Benito House for lunch and beer, Barbara’s Fish Trap for fried fish and more beer, Its Italia for brunch, and four Zagat rated options. There’s a spa at the Ritz Carlton, but that may negate the point of choosing a hostel. If you are more inclined to cook, then the locally grown fresh produce and an active fishing fleet will supply your most luscious organic fantasies. Check-out Yelp for the Half Moon Bay Crab Boats, Princeton Seafood Company and Creekside Smokehouse. Produce can be found along Highway One and you may view available options through the Harbor Village Farmer’s Market blogspot. The California coast is a freeway for whale migration and the best spots to view them happen to be where lighthouses are located. If you book during prime whale watching season, you couldn’t be in a better spot. We observed a grey whale and her calf swimming right near the cliffs along the kelp forest – by far the closest sighting I’ve ever had from land. There’s also a private beach and the likelihood of seeing seals and other aquatic life. 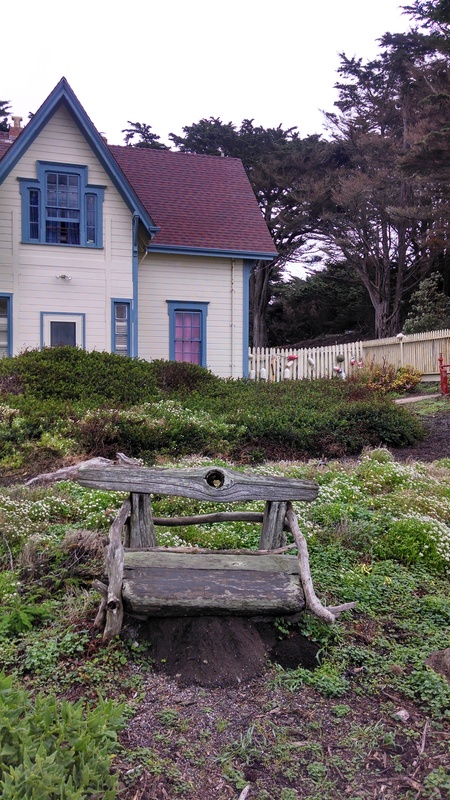 As the hostel is located in the Fitzgerald Marine Reserve, tide pooling is also an option. Check the tide before you go.